Add sparkle through the rain with jewelry, bags other accessories from Seattle makers and beyond. It is starting to get cold, rainy and sometimes a little sad outside. But just because you are officially on the hunt for clothing that will keep you warm and dry, doesn’t mean you can’t add a little sparkle to your look. Check some of these thoroughly beautiful shiny things — many of which are made or designed in Seattle — and add a little extra golden glow to your fall look. Being outdoorsy doesn’t mean you have to throw all glamour to the birds. The Honey & Bloom Adventurer Cuff ($185 at honeyandbloom.com) is a perfect everyday piece with an inspiring message. Whether you’re on the open road or stuck in the office, the “Adventurer” engraving inside the bracelet will always remind you where your heart is. Don’t let seasonal baggage get you down. Stuff it all deep down into the classic Baggu Leather Tote ($180 at Prism, Ballard). It fits your essentials, plus any holiday-shopping impulse buys. You’ll essentially be a very chic Mary Poppins. Elegant and a little sinister, local line Baleen’s Burnt Matchstick Necklace ($38 at Baleen, Ballard) is a great piece to wear if you’re looking to keep it simple while retaining a bit of intrigue. New York-based jewelry designer Alison Lou has created an entire line that pays homage to our favorite new way of expressing ourselves: the emoji. 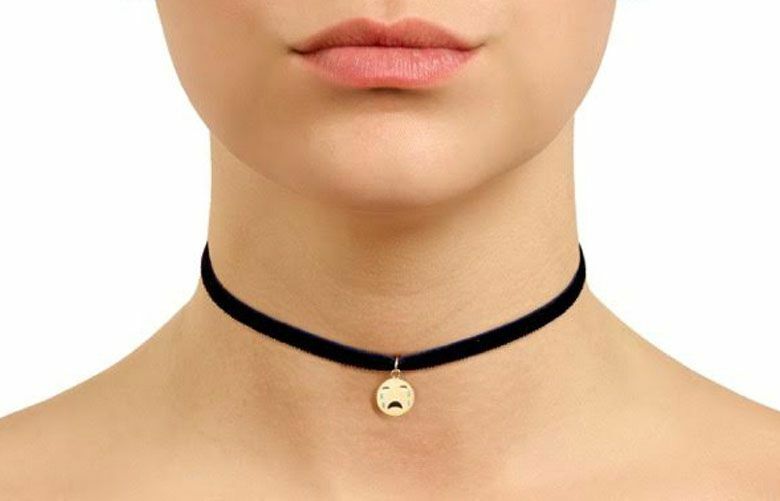 The Alison Lou Navy Choker ($250 at alisonlou.com) has a black velvet band that can be paired with your choice of nine different faces, from crying to crazy to lovestruck. Fans of the show “Stranger Things” will appreciate the simply awesome Mary Hannah Little Lamb 011 Ring ($28 at etsy.com/shop/MaryHannahLittleLamb). You can order it online, or pick it up the Fremont Vintage Mall where Hannah has a booth. Pro tip: Hannah also does custom work in her Wallingford studio. Shoot her a message and she’ll stamp anything and everything on necklaces, rings or keychains. 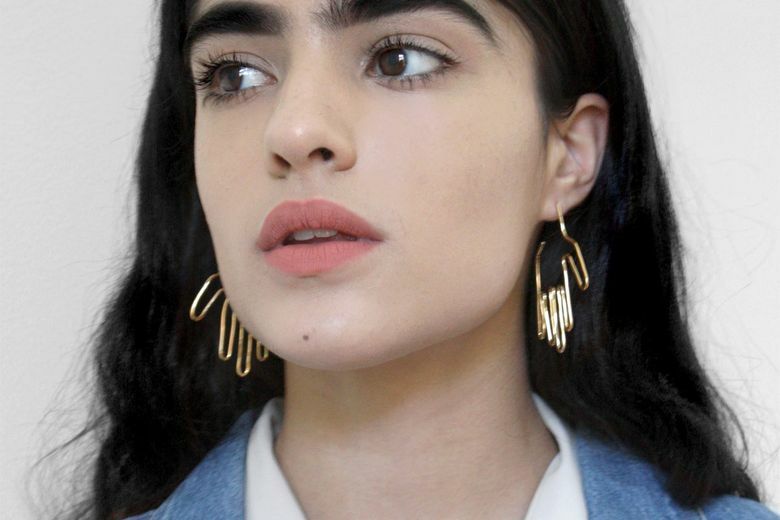 Young Frankk’s Hand Earrings ($76–$112 at youngfrankk.com) manage to walk the line between elegance and statement piece. They’re available in sterling silver or gold plated, and go with everything while adding personality and humor to a look. If chunky glam is your vibe, check out the Faris Link Bracelet ($298–$498 at Rizom, Belltown) Seattle native Faris Du Graf handcrafts all of her pieces in her Interbay studio, and then sells them at her new shop, Rizom, in Belltown, as well as at boutiques nationwide. 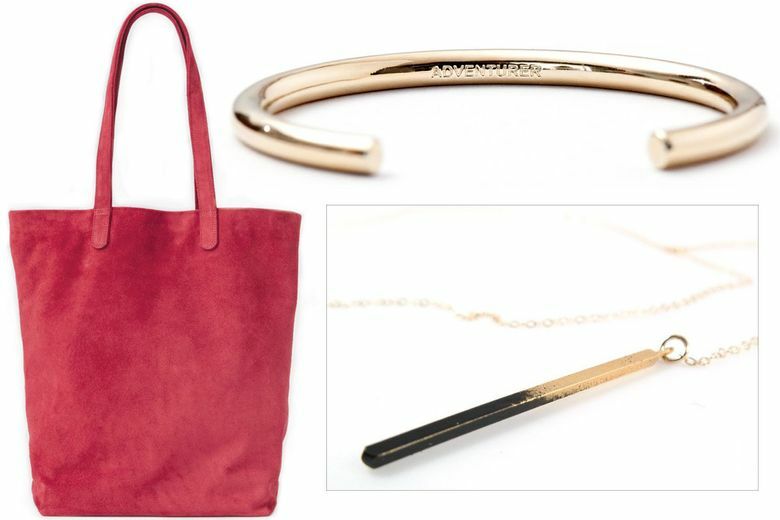 Seattle favorite Baleen is known for its simple, affordable jewelry, and the company’s Framework Bangle ($65 at Baleen) is no exception. A strong graphic shape lends interest to the otherwise minimalist piece. The limited-edition Kimberly Baker Santa Maria Necklace ($325 at kimberlybaker.com) is made from chain salvaged from the deck of a shipping barge and covered in 18-karat gold. A unique texture lets it stand on its own, paying homage to our local seafaring history. 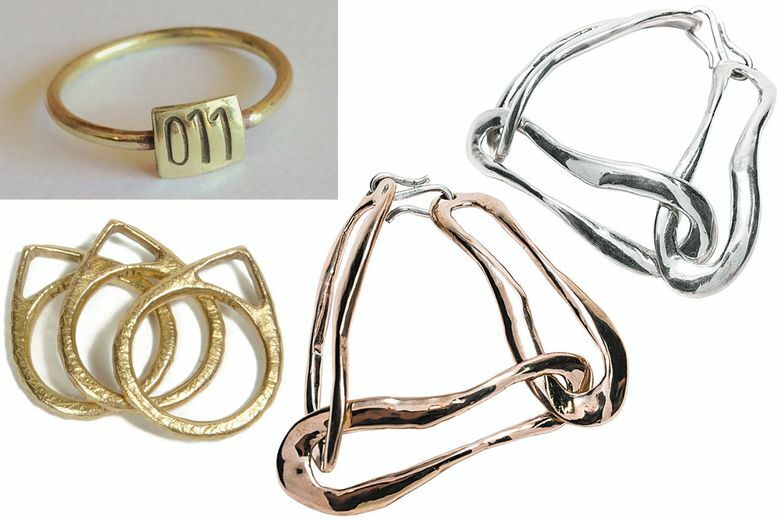 Nettie Kent’s Compass Stack Rings ($102 at nettiekentjewelry.com) are a simple-yet-chic three-ring set made from recycled brass. The ultra-cool design is hand-carved in Kent’s Brooklyn studio, so no two sets are exactly the same. Locally designed BZR Ombre Tights ($45 at etsy.com/shop/BZRshop) are becoming a Seattle staple. Pick up a pair for your teen or best friend to add a much-needed color pop to her basic black-leggings-look. A fresh take on the traditional nameplate necklace, Unearthen’s A-B Necklace ($185 at unearthen.com) makes for a sweet personalized gift. Made by Seattle-native Gia Bahm, the delicately crafted necklaces feature a 14-karat letter on a short gold chain. Additional letters can be added for $25 each. 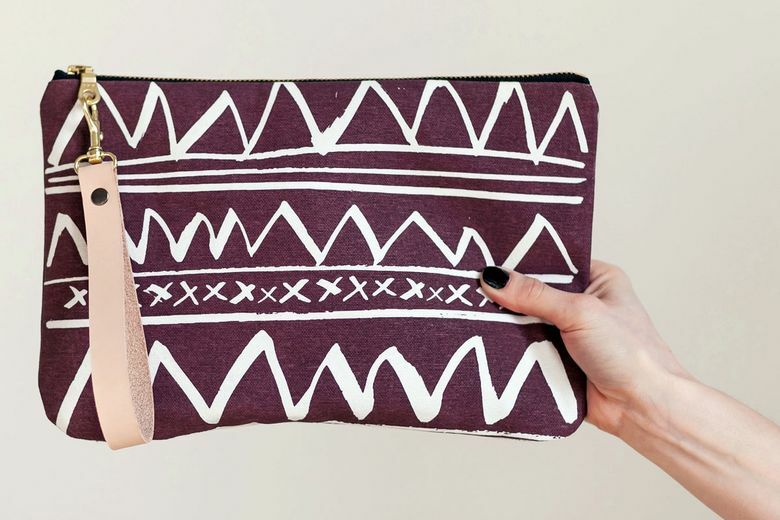 Made with organic canvas in its Pioneer Square studio, Such Sweet Tierney’s Burgundy Arches Wristlet ($48 at suchsweettierneyshop.com) will thrill the bag-lover on your list. It can be used alone with the handy leather wrist strap, or dropped into a tote to stay organized.